When investing in the stock market, an investor can make use of certain techniques to earn a profitable return on their investment. One of the most commonly used technique is the betting technique or the spread-betting technique. When investing in the stock market, an investor can make use of certain techniques to earn a profitable return on their investment. One of the most commonly used technique is the betting technique or the spread-betting technique. This method helps a trader acquire benefits and generate purchase and sales transactions. 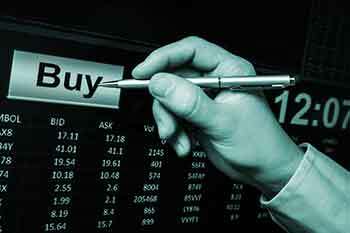 Spread betting is a technique where an investor speculates the price of shares or share contract. In this method, the spread betting company will quote two prices on the offer. The bid price is known as the spread. The investor has to speculate whether the cost of the securities will drop lower than the bid or higher than the offer price. The bid price is the price at which an individual investor can sell their security. The offer price is the price at which an individual investor can buy the security. In spread betting, the investor is not the owner of the securities, they merely speculate on its price graph. When engaging in spread betting, an investor has to pay a certain percentage of the total value of the trending security as a deposit before estimating the price range. In this setting, the points are the deciding and calculating factor for the profit or loss of the speculator. For example, if the stock market index of the share is trending at 2000, and the spread betting company fixes the bid at Rs. 1990 and the offer at Rs2010. An investor fixes Rs10 for every point and estimates a decrease in the point. If the market dips below from 1990 to 1970, it is a 20-point decrease, so the investor earns (20* Rs10) Rs200 as a profit. In case, the market rises to the offer price and above; the investor will lose Rs10 per increased point below or above the bid price. When an investor purchases a share by speculating a rise in the share price, it is termed as Long position. When an investor purchases a share by speculating a fall in the share price, it is known as a short position. Intra-market spread takes place in the calendar year and in the same market only, i.e., January to December. For example, an investor can speculate a long July corn and short December corn. Inter-market spread takes place in different markets. An investor can invest in long futures and short futures of the same month in different markets. Inter-market spreads can also become calendar spreads when an investor trades by speculating long and short futures in the various markets and different months. The inter-exchange market spread is one of the least commonly used forms of spread betting. The spread contract is for similar markets but happens on different exchanges. It also is converted into a calendar spread by different months. The only difference in this spread is different exchanges unlike the intra-market and inter-market spread which happens in the same exchange. Spread betting does not require a lot of research. It is an effective way to trade for stock market beginners. The most profitable way for spread betting is by using the end of the day data. Spreads are much easier to trade than other market techniques. Spreads require a only a less margin requirement. Spread gives the flexibility to trade as it can be done through different exchanges, markets and months. It is one of most commonly and conservatively used method in trading. Spread betting does not require live market data to place the spreads. Spread betting is the conventional way in which an investor can earn a considerable profit in the stock market. It lowers risk of loss and gives countless opportunities for an investor to make a profit.